Cedric the Entertainer says standup is still the best way to "touch people." 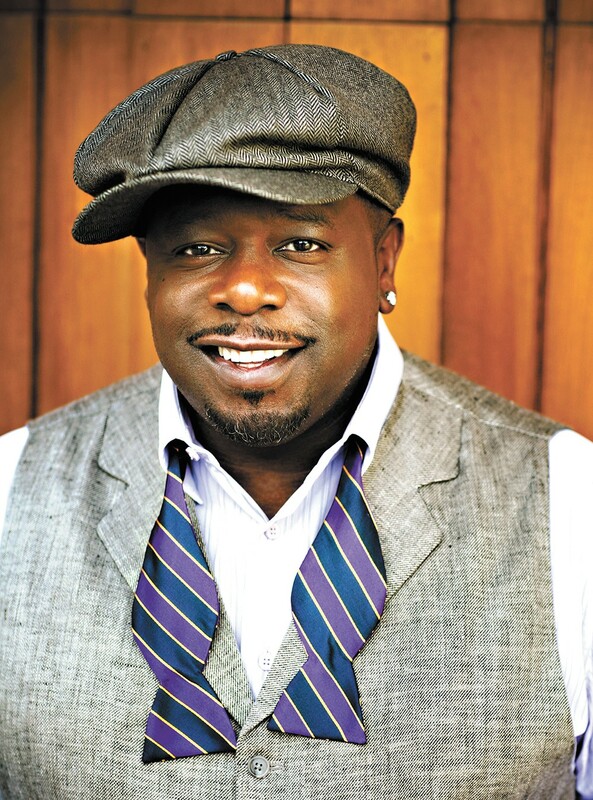 Over the past 30 years, Cedric the Entertainer has become a near omnipresent force in American comedy. His stand-up skills made him one of the pioneering acts in the hit 2000 comedy-concert film The Original Kings of Comedy, alongside Bernie Mac, Steve Harvey and D.L. Hughley. His knack for crafting memorable characters made him indispensable to movies like Barbershop and the new Tracy Morgan TV show The Last O.G. And most recently, his acting took a turn toward serious fare in the new First Reformed, playing in theaters now, in which he's listed by his given name, Cedric Kyles, to make sure no one gets the idea the movie is a comedy by his mere presence. INLANDER: You're involved in writing, producing, acting, so many things. Why keep doing stand-up shows on the road after all these years? CEDRIC: It's still the most immediate reaction you can get. In this day and age, with so much news and life changing on a daily basis, as a comedian you just have this commentary you want to get out. More so, the idea of touching people, being out in cities and getting that immediate reaction, you just can't beat it. Do you miss it when you're on a movie or TV set for months and can't do it? Not usually. If I'm doing any kind of entertaining, I'm usually fine. It's those periods when I'm not doing anything at all. If I'm on a break and not doing anything, I can only play so much golf before I'm like, "I'm bored, man." I better go do something. With all the jobs you've done through the years, is there one you look back on and consider the one that really launched you? The one that made you think you're going to make it in comedy? When I became the host of ComicView on BET, it wasn't necessarily big-time television, but it was one when I went into people's households. That show used to air every night at bedtime, it would just air all these shows. That was the situation that let me know I had that thing. I felt that people enjoyed me, they wanted to watch me. And I instantly went from being a no-name comedian to someone who was being booked around the country. I was really hot, and that's when you kind of feel like "OK, I can do this." You don't know where it's going to go from there, but you definitely get that courage to say, "I'm never going to go back to a job." Before Bernie Mac died, you guys were considering doing another tour of The Original Kings of Comedy. What do you think it is about that group of guys that people still love it all these years later? The arena tour at that time was kind of happening. You had Dice (Clay) that blew up, Martin Lawrence went out on an arena tour. But you never had what I would consider that Rolling Stones thing, where you had a group, and you knew all the people in the group. Almost like the Beatles, when you knew the whole entity, then you had kind of your favorite that you loved. That was the first time I think comedy captured that ... That's what was special about The Kings of Comedy. It still resonates. Even the tour I'm on now, the Comedy Get Down tour, with me and George (Lopez, plus Eddie Griffin and D.L. Hughley), it just doesn't resonate like that. In First Reformed, you're doing a straight, dramatic role. How big a leap is it for you to do drama? You want to be a great comedian, but then there's this idea of doing something that feels like a real person, that feels like someone that you can see the life of this individual and believe it. That's what I say about great actors, you don't really see them as the actor anymore, you see them literally as that person. That was something as a kid, even growing up, I would do full-on characters of people. I would do my great uncle, my grandmother, and you actually turn into them. And even though you're doing it comedically, it's about capturing their mannerism, capturing their real attitude. What about this role (Cedric plays a preacher) and film appealed to you? This was one where, one it was a great, legendary director in Paul Schrader. And Ethan Hawke, who's an actor I admire ... I was looking for this kind of thing. I was telling my agent, I'll go audition, I just want to be in great projects with cool people, even if it's a small part. I just want the opportunity to maybe go in and steal a scene or be interesting in the camera and have people go, "Man, there should have been more Ced in that!" Do your agents have to sell the idea that you can do drama? Is it hard for people to get over the idea that you're always going to be funny? The original print version of this article was headlined "Born Laughing"